Female macroptera. Body and legs yellow, ovipositor and terminal abdominal segments darkest, antennal segments VI–VIII pale brown; fore wings pale. 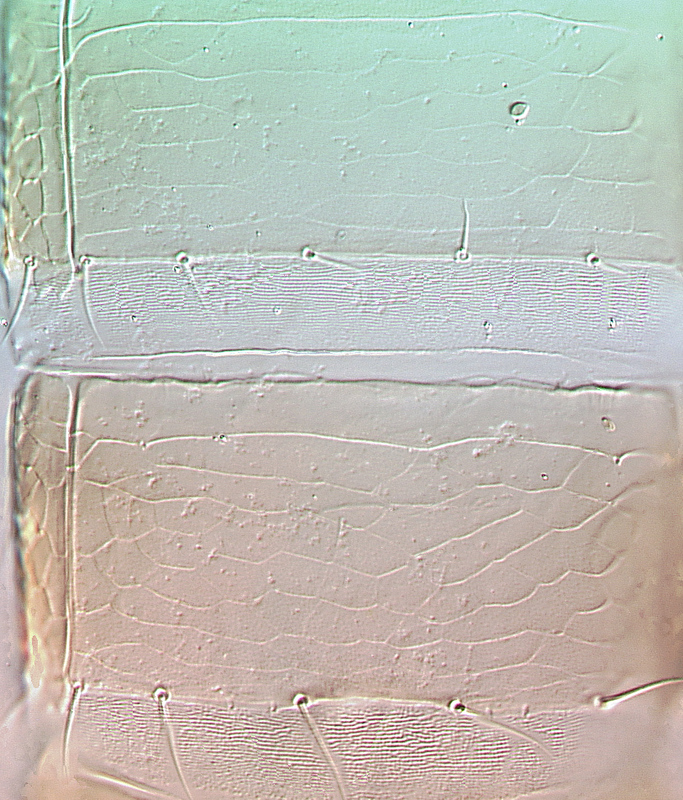 Antennae 8-segmented; segment I without paired dorso-apical setae; III–IV with simple sensorium. 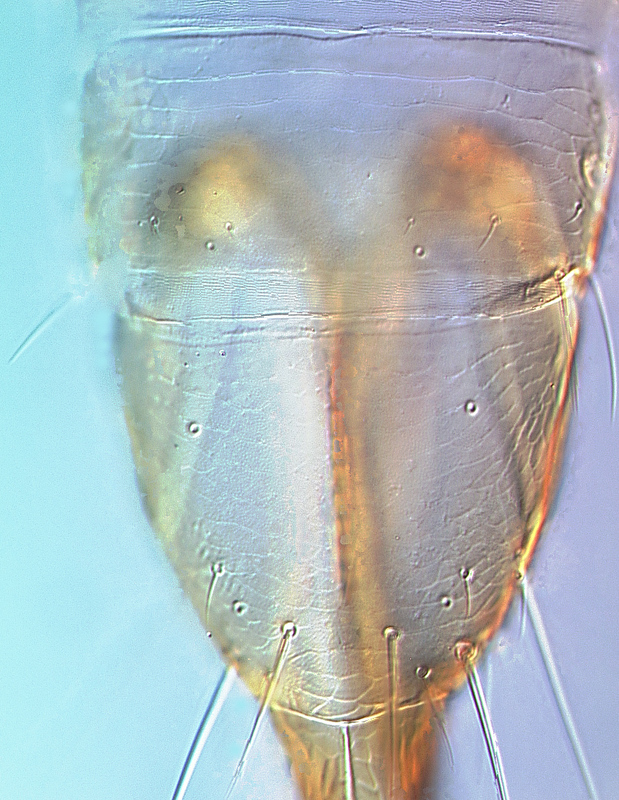 Head longer than wide; 3 pairs of ocellar setae, pair III arising on, and shorter than, anterior margins of triangle; fore ocellus sometimes absent; vertx with several pairs of small setae well-behind eyes. 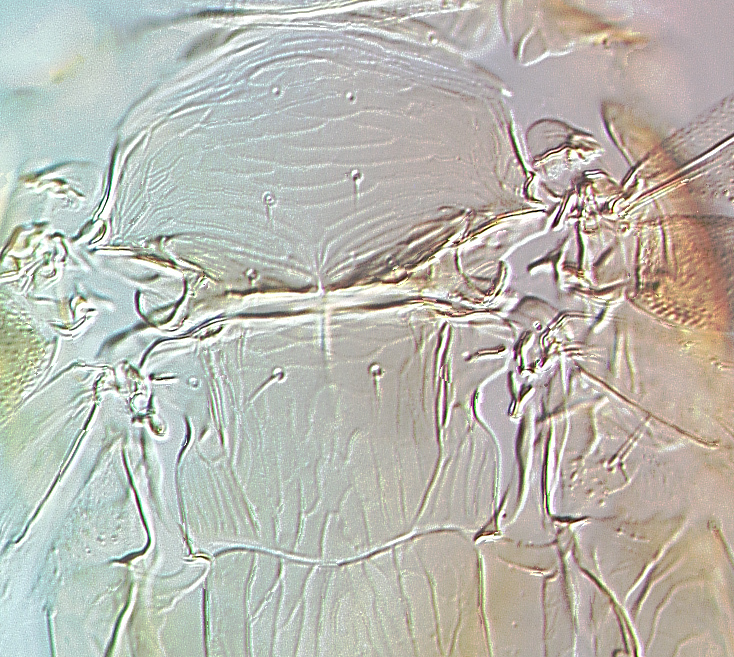 Pronotum slightly wider at posterior than anterior, with 2 pairs of posteroangular setae; posterior margin with 3 pairs of setae. 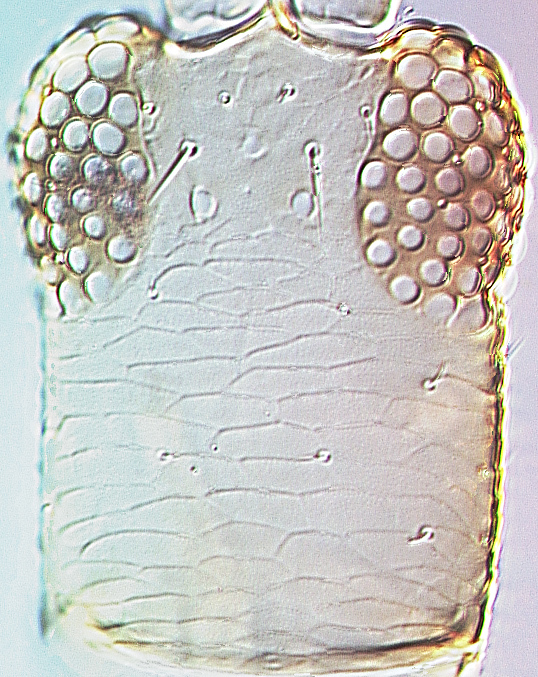 Metanotum irregularly reticulate, median setae arise behind anterior margin; campaniform sensilla absent. Prosternal ferna complete medially, with anterior extension bearing 2 pairs of setae; meso- and metafurca without spinula. Fore wing first vein with 1–3 setae on distal half, second vein with 4 setae; clavus with 2–4 veinal setae but no discal seta. Tergites with weak reticulate sculpture medially, paired campaniform sensilla close to posterior margin, craspedum not developed; VIII with no marginal comb; tergite IX elongate, medio-dorsal setae small. 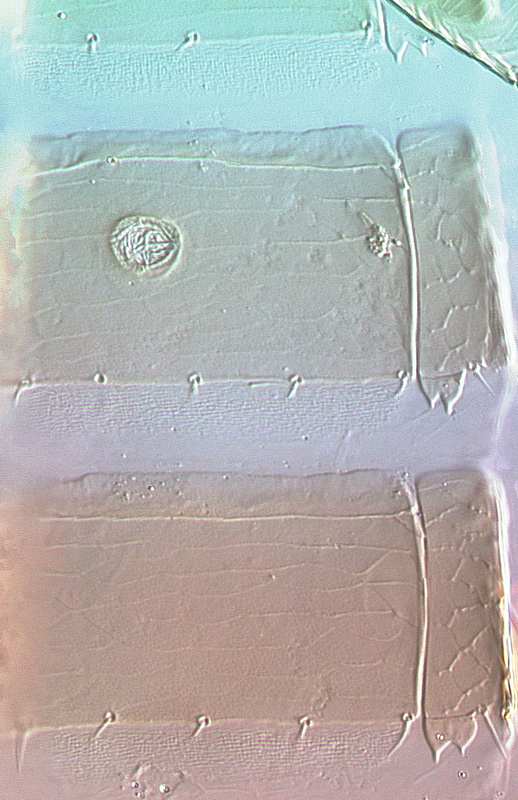 Sternites without discal setae or craspeda; VII with all 3 pairs of setae arising at margin. Male macroptera. Similar to female; tergite IX with 2 pairs of stout thorn-like setae posteromedially; sternite III with circular pore plate. The genus Karphothrips includes only a single species. Although described originally from New Zealand, this species is an Australian endemic that is widespread across the south of the continent. At present it is not possible to suggest any relationships, because many of the character states exhibited appear related to the grass-living habit, including the long ovipositor, reduced wings, and elongate head. Tasmania, New South Wales, Western Australia. Mound LA & Walker AK. 1982. Terebrantia (Insecta: Thysanoptera). Fauna of New Zealand 1: 1-113.